A few weeks ago, my mom and I decided to take Kamryn out for tea. She loves to have tea at my house but has never been to a tea room. Sarah decided to go too, so off we went yesterday. The Tea Trolley is still decorated in Autumn hues though the trees are quickly losing their leaves. Teddy Bear Tea for Kamryn - sandwiches (she had her choice of pbj or ham and cheese), a s'mores brownie, apple dessert with a snickerdoodle crust, and a chocolate chip scone and her own pot of tea! Her favorite part of going out to tea? I'll show you! We all had a wonderful time, and the other ladies who came for tea were delighted to see a young girl having tea. I told them, "Her favorite part was putting sugar cubes into her cup and pouring the milk. It's a good start!" Of course! I tried making a sugar cube house one year for Christmas! It was inspired from Martha Stewart back in the day, but now Pinterest has lots of ideas!! Such a sweet four generation gathering!! What a treat for Kamryn! Yes, four generations of women! What fun, she is so adorable. Deanna, I loved this post! Introducing young ones to tea and tea rooms is something I enjoy. 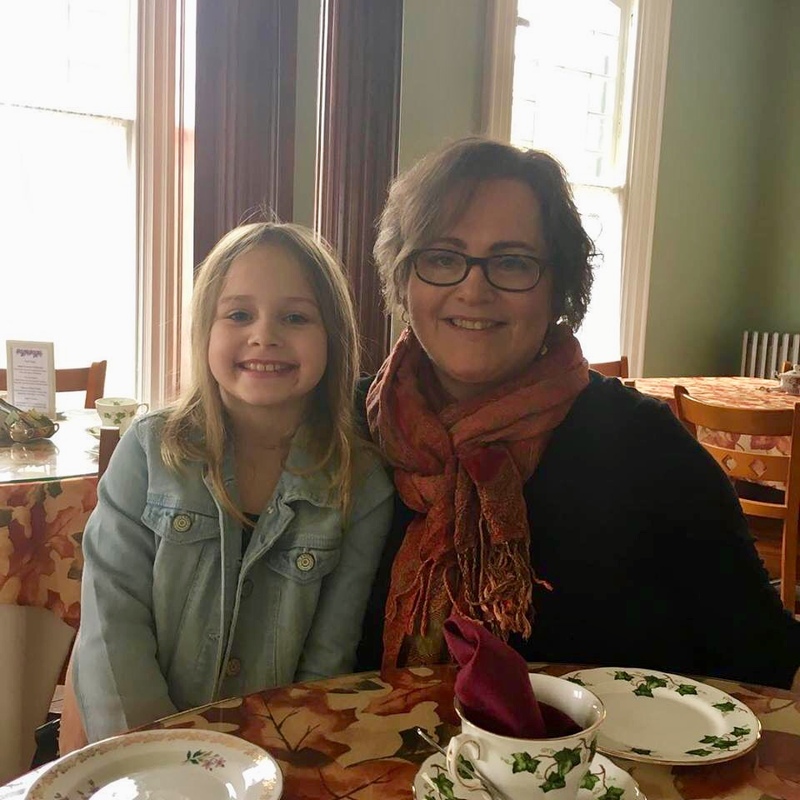 Thanks for sharing Kamryn's first tea room experience with us! It is so fun, sharing tea with children. They love all the special things about it! 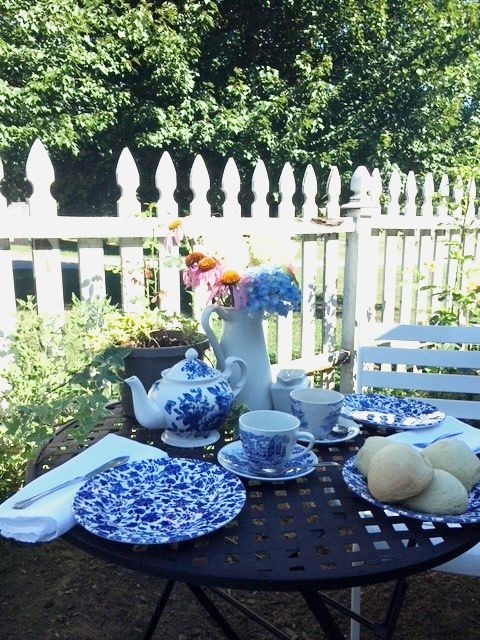 If I get to Maine again, lets have tea together! I promise not to bound around the room! What a lucky (and adorable!) young lady! That's a day she will always remember! Thank you! She's growing up quickly!